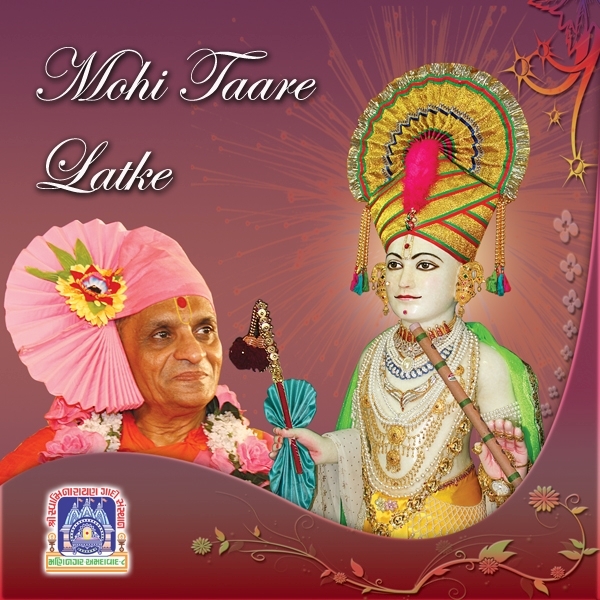 This compilation of kirtans was released during the 60th Anniversary celebrations of Shree Swaminarayan Temple in the village of Madhapur (April 2009). The album contains kirtans written by Lord Shree Swaminarayan's 'nand' status sants, Sadguru Shree Muktanand Swami and Sadguru Shree Brahmanand Swami, as well as Gurudev Shree Muktajeevan Swamibapa, Sadguru Shashtri Shree Sarveshwardasji Swami and Vasantkumar B Patel. The music to the kirtans has been created by music maestros Shree Kirtibhai Varsani and Shree Sanjay Omkar. Many eminent playback artists feature on the album, including Sadhna Sargam, Javed Ali and Udit Narayan. The CD is accompanied by a special booklet containing the words to each kirtan, set amidst divine images of Shree Ghanshyam Maharaj, Gurudev Jeevanpran Gurudev Shree Muktajeevan Swamibapa and the Acharya Swamishree.